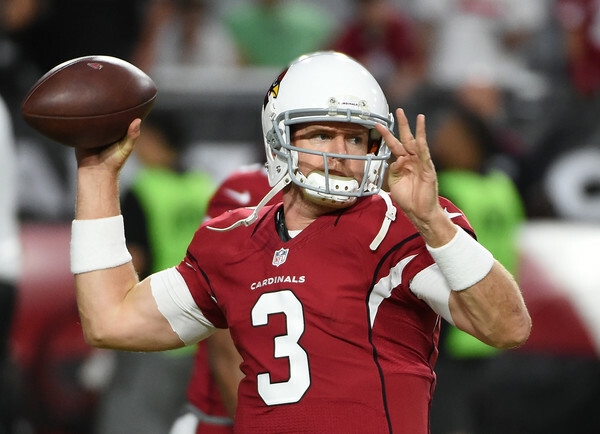 The revitalization of Carson Palmer kept right on going in 2015. 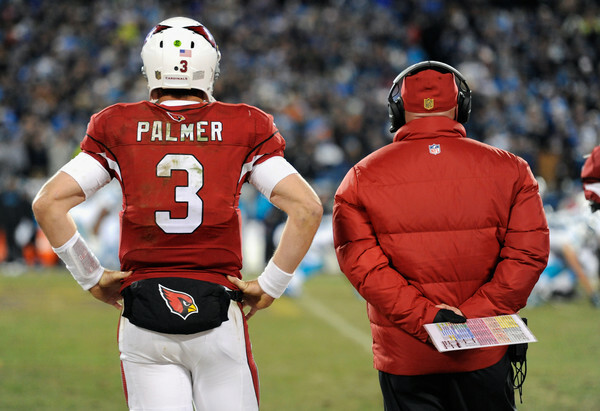 Palmer was one of the best quarterbacks of 2015 and his success in Bruce Arians’ offense catalyzed a powerful offense. The reason for Palmer’s postseason collapse is hard to identify, maybe those 36 year-old bones just ain’t what they used to be after a grueling regular season. Perhaps the moment was just too big for him, or the football Gods just picked a cruel time for Palmer to have his two worst games of the year. Regardless, just as Palmer’s good play in the regular season took Arizona to unexpected highs, while his poor play in the Playoffs was the biggest factor in their demise. If Palmer can replicate his play from last season for all of 2016, there’s no limit to what Arizona can achieve this year. Fortunately for Palmer, he’ll have plenty of help getting back to that level. 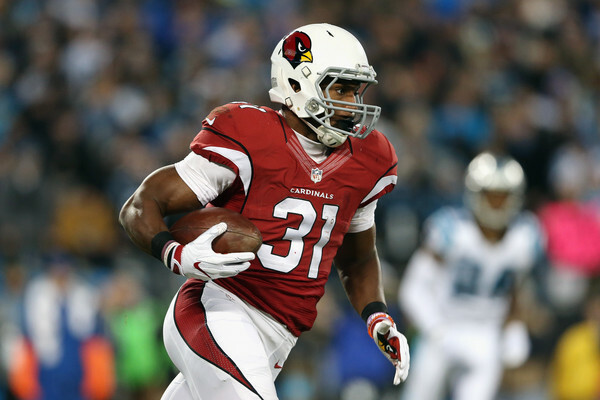 That starts in the backfield with 2016’s breakout player du jour in David Johnson. Johnson wasted no time breaking opposing defenses wide open as a rookie. Now that he’s the unquestioned RB1 ahead of Andre Ellington and Chris Johnson and could have a big year. Johnson is basically a punt returner after he gets the ball and he could be devastatingly effective in running and passing situations with more experience and more touches. 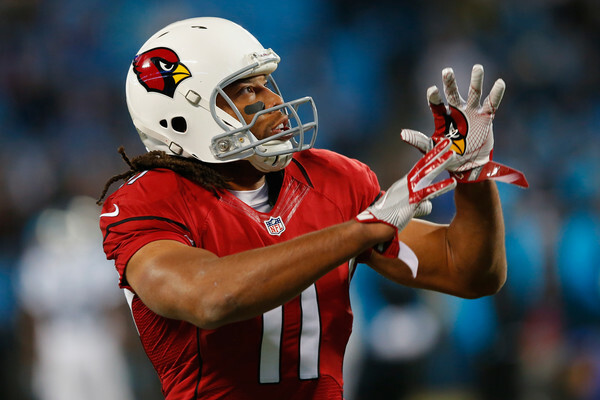 Johnson will be aided by the respect opposing defenses will have to give Arizona’s receivers. Larry Fitzgerald is not what he once was, but he’s still a reliable and effective receiver who will put up some impressive numbers. 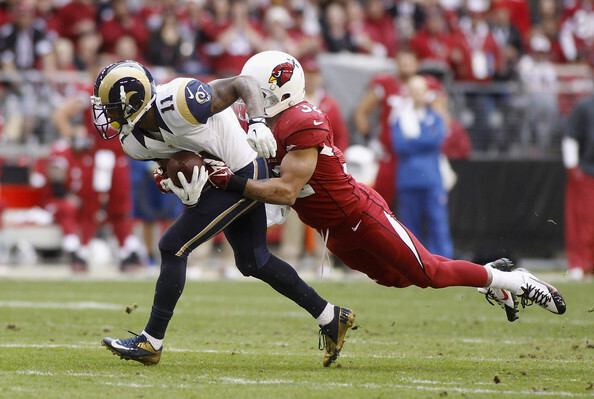 The other outside receiver figures to be Michael Floyd. Floyd was widely considered a breakout candidate one season ago, but a preseason hand injury really hurt the chances of that happening. After he got healthy, he was still very good and he’s flashed the ability in his career to be among the elite at the League’s deepest position. If Floyd breaks out, Arizona’s passing offense might be unstoppable with the fleet-footed John Brown and J.J. Nelson giving Palmer slot options underneath. Arizona’s Achilles Heel for years was its offensive line, but they’ve poured resources into fixing it and this may be the year that this is a top-10 unit. The left side of the line is solid with Jared Veldheer and Mike Iupati and this offseason’s biggest offseason addition, guard Evan Mathis, will help shore up the right. The line is still far from perfect. Personnel at center and right tackle are a lot more dubious. But, all of the skill-position talent Arizona gives opposing defenses to worry about will buy them a lot of four- and five-man rushes. Blitz this team at your peril. Things look pretty great on this side of the ball too. Defensive tackle Robert Nkemdiche was rated as one of the best players in the 2016 draft, but saw his draft stock tumble after a marijuana-related off-field incident last December. The Cardinals will reap the benefits of Nkemdiche’s mistakes as he tumbled all the way to the end of the first round. Arizona’s other big offseason move was a trade with the New England Patriots for pass-rusher Chandler Jones. Together with Markus Golden, and Nkemdiche, Jones will give opposing offensive lines plenty to worry about in pass protection. The other big name on Arizona’s line is defensive end Calais Campbell. Campbell has never become the pass-rushing terror the Cardinals might have hoped for given his combination of size, speed, and strength, but he is still very good against the run and his huge frame occupies blockers to make life easier on the outside linebackers in Arizona’s 3-4 base. Arizona’s lack of a pass rush has been the defense’s biggest problem for years. Jones and Nkemdiche should help that along. The biggest beneficiaries of that will be the deepest and arguably best secondary in the NFL. Cornerback Patrick Peterson is a superstar. He’s one of the best man-on-man cover corners in the NFL with a knack for the highlight reel game-changing play to boot. The other star in the secondary is the ‘Honey Badger’. It’s hard to categorize Tyrann Mathieu into a particular position. Arizona maximizes his versatility by playing him in a huge variety of roles. He plays as a cornerback on the outside. He plays in the slot as a nickel back in 5 or 6-DB packages. He’s also frequently deployed at Safety. What makes Mathieu so special is not that he’s capable of being used in all those capacities. What separates him from other versatile players is that he could serve in any one of those roles full time and rank among the best in the League at that position. Tony Jefferson and Tyvon Branch make up a very good Safety pairing in center field for those times Mathieu is used in the slot or on the outside. Justin Bethel does not match the staggering quality on all sides, but with so many great players who are capable of so many things, it should not be too hard to hide him if he doesn’t improve his uneven play from last season. Carson Palmer plays at an MVP level. David Johnson breaks out behind one of the League’s better run-blocking offensive lines. The Cardinals score for fun and opponents spend the season playing from behind, having to throw the ball into that MONSTER of a secondary. The NFL’s most talented team looks the part all year and cruises to the home-field advantage in the NFC Playoffs. Carson Palmer begins to look his age, reverts to the league-average form of his Oakland days and the Cardinals offense is merely good, not great. Chandler Jones and Robert Nkemdiche can’t stay out of trouble off the field and the pass rush improvements the Cardinals were hoping would elevate the defense into Broncos territory never materializes. A great secondary makes the defense good, but a mediocre front seven keeps it from being more than that. Seattle wins the NFC West, but the Cardinals still rise to the top of a mediocre Wild Card field. The NFC West is going to be a two-horse division race. Seattle and Arizona give that division two of the three best teams (at least. Maybe even just the two best teams) in the conference. No one should be surprised by either outcome, but this gets tilted in Arizona’s favor for two reasons. The first is Arizona’s schedule. Both Arizona and Seattle play the AFC East, but Arizona gets the Tom Brady-less New England Patriots in Week 1. In a race this close, the Garoppolo factor could be massive. Additionally, Arizona’s first place schedule gave them games against Minnesota and Washington, who are the two first-place teams you would want to have to play this season. The second is that, in our estimation, Arizona’s roster is just a bit better. While Seattle has a roster teeming with talent but one massive, obvious weakness in its offensive line, finding roster weaknesses in Arizona is an exercise in picking nuts. This is the NFL’s most complete football team and they will look the part all year. Arizona wins the NFC West and gets a playoff bye.